The aurora borealis, better known as the northern lights, is one of nature’s most spectacular displays that has captivated the imaginations of people for generations. And with their popular acclaim in mind, NASA plans to explore the aurora borealis in the coming weeks with several unmanned rocket probes in Alaska. 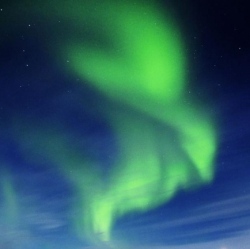 The missions will examine the role the auroras play in Earth’s global weather patterns and the impact on they have on the planet’s atmosphere. Though not the first rocket probes sent into an aurora, these "will give us a wealth of information that we have not had previously," says Charles Swenson, a Utah State University professor of electrical and computer engineering and principal investigator for one of the probes, known as the Auroral Spatial Structures Probe (ASSP). According to NASA, the northern lights are caused when particles flowing from the sun are caught up in the Earth’s magnetic field. These particles interact with molecules of atmospheric gases that cause the famed glowing red and green colors of the aurora. This flow of particles from the sun and the sun’s magnetic field are known to affect the Earth in many ways with the geomagnetic storms disrupting radio communications, damaging satellites and even knocking out power systems.